The deadline for the May 2019 issue is Monday 15 April and it will be on sale by Saturday 27 April. Prior to launching our full volunteer programme, we are looking for four enthusiastic Community Evaluators to play an important role in evaluating the impact of cultural activity in local communities, across the city. You will be working within communities undertaking surveys, conducting face-to-face interviews, collecting other data, and developing your own evaluation methods to assess the impact of the work being undertaken. Full training will be provided at the start of the programme and you will be mentored throughout the process by the wider evaluation team at the Coventry City of Culture Trust. Tuesday 16 April 2019, 7.30pm Royal Oak Public House (Garden Room). Friargate/Station developments, local Crime (Cars, drugs). Please do come along and join the discussion. • STREET SALE, to be held on Sunday 9 June. 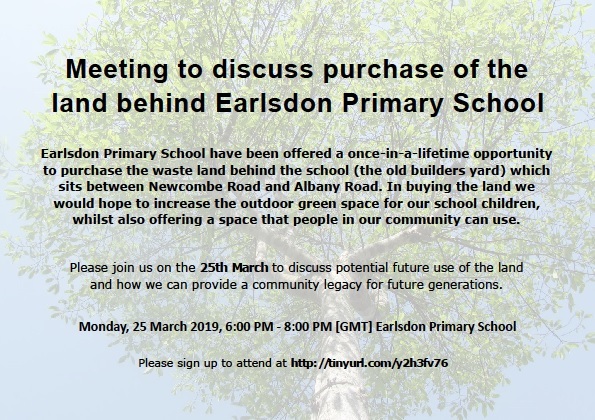 Please do help with the organising (a planning meeting to be held Tuesday 23 April) get in touch at by responding to this email. • Tea Party and band in Spencer Park on Sunday 14 July 2 to 5pm. 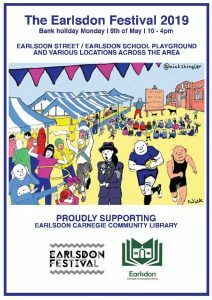 Volunteers, raffle prizes and cake entries needed. • Other NENA 10 year celebrations. The Friends of the War Memorial Park are in the process of organising events leading up to the 100th anniversary of the opening of the Park in July 2021, coinciding with the City of Culture year, and hope to have monthly events, starting in July 2020 and leading up to a really big event in July 2021. They hope that the Crazy Golf facility will be opening during May/June this year. 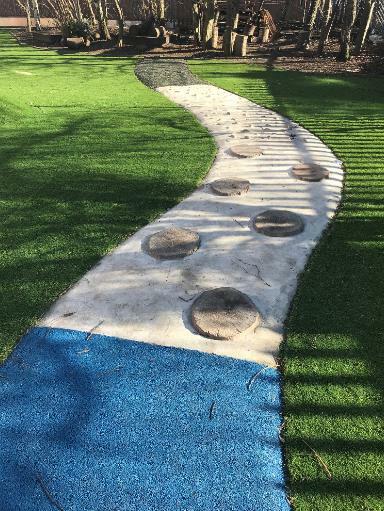 This will be situated near to the Tennis Pavilion on the area which is presently used as the Putting Green, and hopefully this will attract a wide variety of users, especially families, so keep a look-out for this. Saturday 7 April 2pm-4pm – Easter Crafts for all ages, Visitors’ Centre. Saturday 27 April 2pm-4pm – St George’s Day event to include brass band and craftwork – Visitors’ Centre. Our apologies that the above information was accidentally omitted from the April issue. As the April ECHO went to press we became aware of a proposed upgrade to the existing telecommunications installation on the roof of the Albany Club in Earlsdon Street. This is currently at the ‘pre-app’ stage i.e. 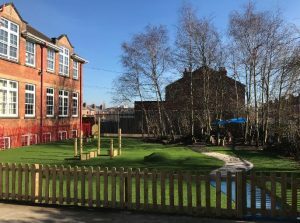 it is not yet the subject of a formal planning application but some information has been shared with local councillors and what are referred to as ‘stakeholders’. Telefonica UK and Vodafone UK, are planning to share a joint UK-wide network infrastructure whilst continuing to provide services to customers independently. A search is underway for a site in Coventry to install a radio base station which will improve mobile phone capacity and coverage (2G, 3G and 4G). A 14 day period has been set aside for comments, running from 21 March to 4 April, before a full planning application will be submitted to Coventry City Council. We said in the issue that because of the technical nature of the plans it would take some time to understand and assess them and so given the timescales ECHO was not able to come to a view before publication of this issue – also the sheer volume of material supplied by the applicants, both text and diagrammatic, is impossible to reproduce in print. However we did say we would share what we could on our website as soon as possible – see linked documents below. As reported in our March issue, Cassidy Group are having discussions with planning officers and ward councillors on proposals to develop the site of the Spencer Club, and land to the rear, in Albany Road. The plan is for 571 student beds including a coffee shop/communal area within a landscaped area fronting Albany Road. Cassidy’s will be holding a Public Consultation at the Albany pub, opposite the site, on Wednesday 20th March between 3 and 8 pm. Residents in local streets will be notified of the event individually. 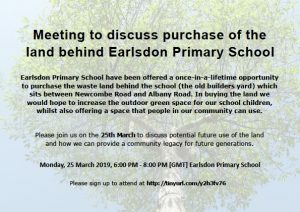 There is a meeting later this month about the land behind Earlsdon School. We have reported various proposals for this vacant land in past issues of ECHO. 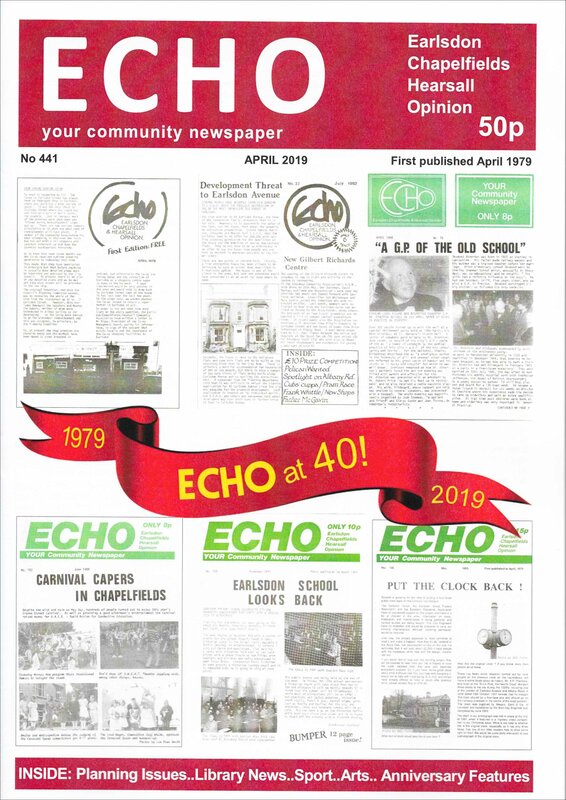 Our apologies for an error in the March issue of ECHO where we accidentally reprinted February’s School Reports instead of the March piece. The correct March article is posted below. Last month the school choir went to the Resorts World Arena to take part in the Young Voices concert with 6000 other children. The choir worked very hard all afternoon in rehearsing for the concert and performed to thousand of parents in the evening. Everyone had a fantastic time and the teachers were especially excited to perform with Tony Hadley! Several other year groups have enjoyed visits and visitors to enrich the curriculum. The Year 1 children spent a day at the Herbert Art Gallery and Museum where they enjoyed looking around the galleries and participated in a workshop to help them learn about toys from the past. To enrich their learning about Ancient Egypt, the year 3 classes visited the Birmingham Museum and enjoyed a mummification workshop! 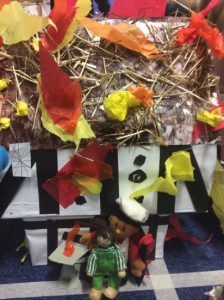 Year 2 have been learning about the Great Fire of London and have enjoyed making Tudor houses which included winding mechanisms. They then used their houses to create a fabulous model of London in 1666 including Pudding Lane, the River Thames and other key landmarks. Their work was enjoyed by everyone during our recent parents’ evenings. What a busy beginning to 2019! 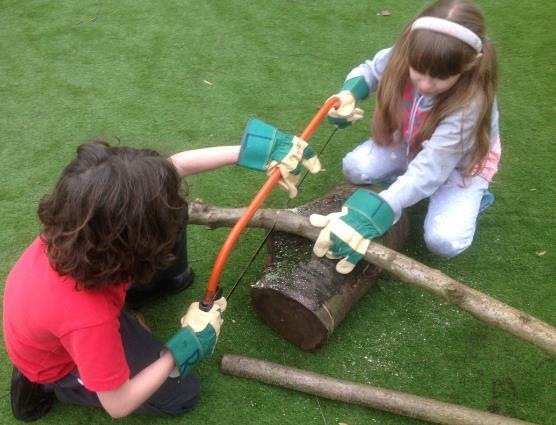 Hearsall’s brand new Forest School area is up and running and proving to be a fantastic place to play and learn. 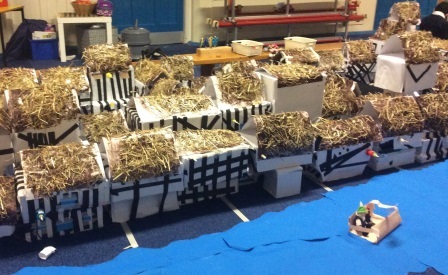 Mr Lancashire has been very busy teaching the children to saw wood and enjoying making campfires. 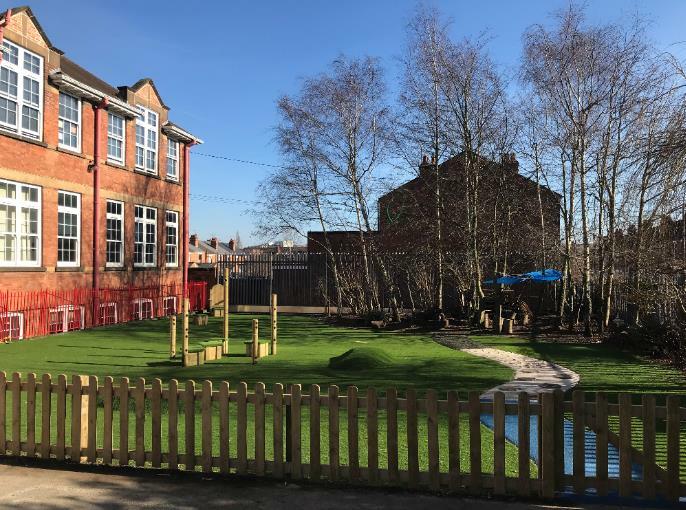 Children love the new space to be able to take learning outdoors; enjoy building dens and experiencing all the new sensory areas including the sensory path. This half term has seen amazing productions from Years 5 and 6 showcasing their theme learning on Greek Legacy with many budding stars! The children all spoke so confidently and Year 5 even took on the role of writing their own family assembly including scripts! Years 3 and 4 have been learning about all things Roman including having a go at archery to understand how Romans got some of their food. Year 1 and 2 have been printing with polystyrene tiles to represent a symbol for Coventry. They also made information leaflets for famous places to visit in Coventry following a walk into town. Reception children have had so much fun reading a wonderful book, ‘Supertato’ and searching for ‘Evil Pea’! This half term has been all about enrichment with a ‘Tour of Europe’ Enrichment day where children moved to different classes to find out all about different European countries. They used Valentine’s Day to enjoy a reading enrichment morning where teachers pulled names of classes out of a hat and took that class to read the picture books they really love. Hearsall also held its very own art exhibition following an art enrichment day where beautiful works of art were available to buy to raise money for their playground project. In assemblies, the focus has been on their core value of creativity. The children understand that being creative is not just art but can mean how people are creative with ideas and questions, through problem solving and even in playing with friends. They celebrate their core values every week in merit assembly and children love being recognised for showing those values of kindness, resilience, bravery, honesty, patience, curiosity, independence, motivation and enthusiasm! 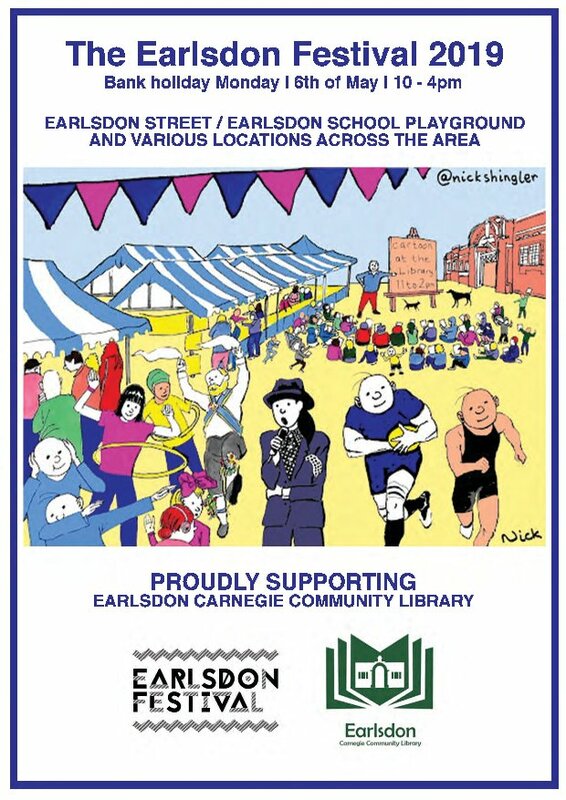 The War Memorial Ramp Renovation (WMRR) campaign has been set up by 5 children in years 3 and 6 at Earlsdon Primary school who are campaigning to renovate the ramps at the War Memorial Park to make the site bigger and better for everyone on wheels across the city and beyond. All 5 children are avid skateboarders and regularly skate at the ramps at the War Memorial park along with a thriving community of BMX riders, other skateboarders and those on scooters. The ramps at the park are used by people from all over the city, but are in a serious state of disrepair making the ramps dangerous in places and quite simply the site is too small for the number of users. As keen skateboarders, the people behind WMRR campaign have travelled to numerous skate parks across the UK and say “It is depressing to see a city like Coventry fail to provide decent facilities for those interested in these sports – even villages like Long Lawford (with a population of just over 3,000) have better skate parks than Coventry. This is shocking for the European City of Sport 2019!! We are often at the ramps in the park with our paper petition. We also have paper petitions at Ride (the only skater-owned shop in Coventry) on Holbrook Lane and SkateHut in the city centre. Follow us on Facebook: War Memorial ramp renovation campaign”. Supporters will be outside the Co-op in Earlsdon Street on Saturday 9th March gathering signatures. Following up yesterday’s item on the plans for a coffee shop in the former NatWest Bank in Earlsdon Street, we stated in that post that the toilets would be on the first floor, raising access issues. Prompted by a reader’s comment, we have checked again – one version of the plans shows a single ground floor toilet for disabled people and the second version shows two. The toilets on the 1st floor are for able bodied people. Our apologies.